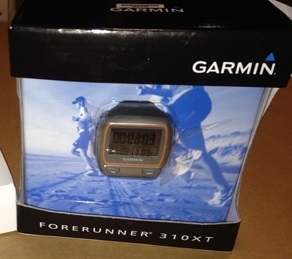 Let’s kick today’s auction deals off with this Garmin Forerunner 310XT GPS. The Forerunner is a must-have for any competitive athlete. As a GPS-enabled training device, this device offers so much more than other fitness tools of its kind. It has a rugged design making it an indispensable training tool for triathletes and it offers superior data tracking as well. The forerunner is water-resistance up to 164 ft (50m) and has a built in heart rate monitor that can even work with you while you’re in the water. This device also compiles data of your weight, body fat, body water, and other body composition data using the Tanita BC-1000 body scale. You’d be able to track your body’s progress as you train and set goals for your fitness level. This item will be going up for live build at the end of the month in Pompano Beach, Florida so if you’d like to learn more about it simply click here to activate your 3 day free trial. You better not slouch around and forget about your body just because it is the winter. Bears go into hibernation–humans don’t. There is no reason for you to hid out in your home and just gain pound after pound. Make sure you keep eating healthy and do some exercises. You can do this next one in the comfort of your warm home. 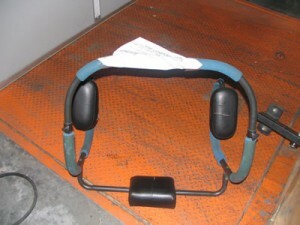 Up for auction today is one Nautilus Sport stepping machine. This Stemill is perfect to get you sweating while getting you fit. This item may require repairs and parts may be missing. You can only bid on this item through this online auction. There is only five days left to throw down a bid, and the current bid is only $25. Want more details? Simply click here to activate a free trial account today. Working out can be a huge hassle–we know. You have to pay for a gym membership, find the time to go to the gym, and diligently work hard to keep up that amazing physique. Well, now you can do that from the comfort of your home. 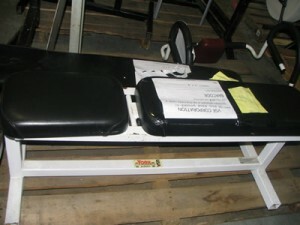 Up for auction today is a set of LifeFitness treadmills. These babies look to be in fine working condition and should be good to go as soon as you plug them in. Stop sitting on the couch while you waste away and gain dozens of pounds. If you want to make a bid on these assets, you are going to have to bid at the online auction. This auction ends in three days and the current bid is only $120. Want more info? Click here to activate your free trial account today! Forget that gym membership that is all the way across town. You can do everything you do there at your own house. But first, you will need the right equipment. Up for auction today is a set of dumbbell weights. There is approximately 500 pieces in this lot. 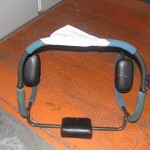 These can be attached to any sized dumbbell for various increments if weights. In no time, you are going to have monster arms! These assets are available through an online auction. There is only four days left to make a bid on these weights. The current bid is at a super-low $25. You don’t want to miss out on this awesome deal. For more information on this item, click here and activate your free trial account now. Nobody wants to let themselves go. These days, signing up for a gym membership has become the norm. If you want the atmosphere of a gym, but in your own home, this is the auction for you. This item is a sturdy Fitness Bench. This bench, which has a white frame and leather cushion, is the ideal piece of exercise equipment for your home. This can be used for a ton of different workouts. The most popular one used for this actual piece is the bench press; this works out every inch of your chest. If you want to bid on this bench, you will need to check out the live auction that takes place in New Jersey. The auction is held on September 1. Click here for more info. Remember that year where you stayed on your diet, worked out every day, and had that chiseled body that everyone was raving about? Well, like many people, you might have fallen out of that healthy trend and gone back into a sedentary lifestyle. If this sounds a little something like your situation, then you should definitely check out this auction. Only available at a live auction on the East Coast, this Abdominal Cruncher will refine your six-pack in ways you never thought it could. This exercise machine is easy to use and only takes minutes to utilize daily for perfect abs. This item is available to bid on during the first week in September. 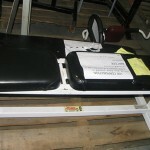 If you want to tone up again, make sure you check out www.governmentauctions.org for more details on this item. Treadmill: You Better Keep Up! Treadmill: Can You Keep Pace? Elliptical Exercise Machine: Getting Fit!